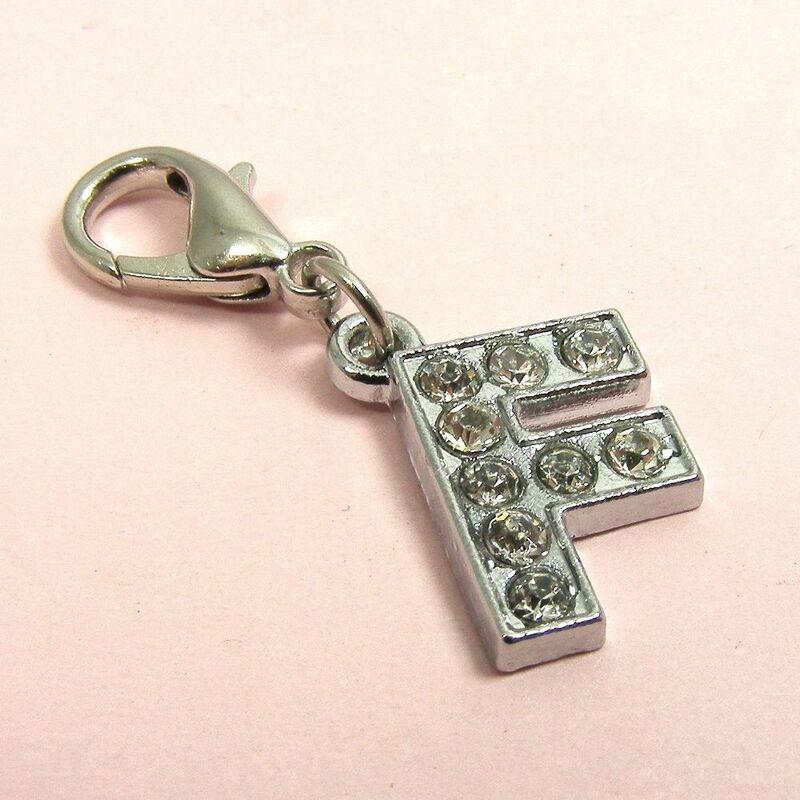 This super fancy letter "F" charm is adorned in rhinestones. The letter "F" charm is silver colored metal, has a secure lobster claw clasp and measures about 0.67" tall. Perfect for your phone, bag and of course your bowling shoes.